Into the final of the Copa del Rey and with a comfortable 11-point lead at the top of La Liga, Barcelona coach Ernesto Valverde is expected to give a number of fringe players a chance when they visit bottom side Huesca on Saturday. Treble-chasing Barca, who hold a 1-0 lead going into the second leg of their Champions League quarter-final against Manchester United next Tuesday, are comfortably ahead of second-placed Atletico Madrid, while great rivals Real sit 13 points behind the Catalans with just seven games to go. 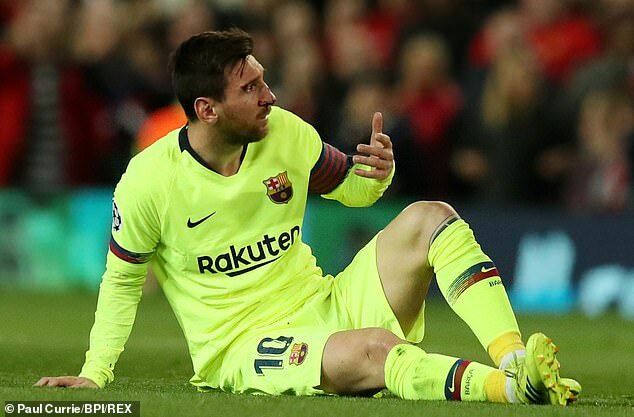 The coach is almost certain to leave out Lionel Messi, whose nose was left bloodied and bruised by a robust challenge by Chris Smalling against United. ‘He’s got a significant bruise and we’ll have to see what the scans say,’ Valverde explained. Barcelona’s Brazilian duo Philippe Coutinho and Malcom will be particularly keen to impress. Coutinho, who joined Barcelona last January for a club record £142m from Liverpool, has flattered to deceive in Catalonia, unable to nail down a regular starting berth and was taken off after another anonymous hour in Wednesday’s Champions League victory. 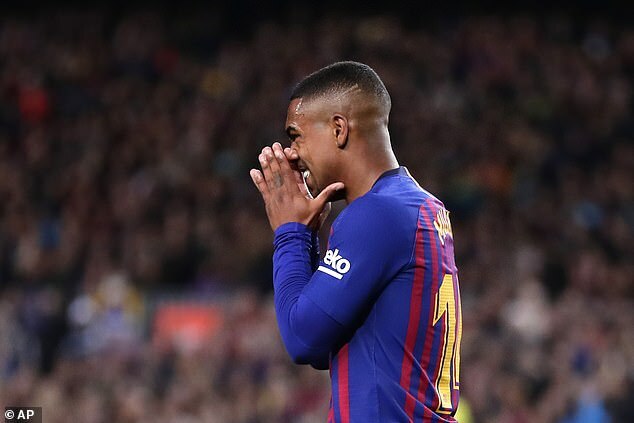 Malcom, meanwhile, has made just two La Liga starts this season and will look to use the opportunity to force his way into Valverde’s plans for the tail end of the season. 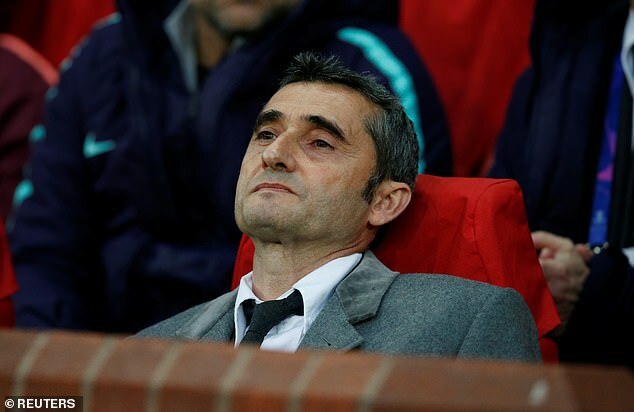 ‘We’ll see how everyone is, but there’s not a lot of turnaround so it’s quite possible we’ll make changes for Saturday,’ Valverde said. Atletico will be without Diego Costa for the rest of the season after his red card at Barcelona. The Spain international has been given an eight-game ban after he was accused of swearing at referee Jesus Gil Manzano before grabbing his arm and refusing to leave the field of play. They host strugglers Celta Vigo this weekend and coach Diego Simeone insists they will still give their all until the end of the campaign. ‘The season is nowhere near over,’ he said. Celta sit two points outside the relegation zone, however their striker Iago Aspas has netted five goals in his last three appearances. Elsewhere, Real visit fellow Madrid outfit Leganes on Monday night looking to keep up the pressure on Atleti in second, while Seville host Real Betis in what is always a feisty city derby on Saturday evening.